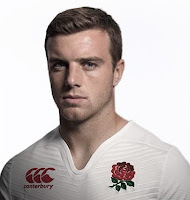 TOTAL FLANKER...a rugby blog: What's the score George Ford (again)? Eddie Jones has apparently warned George Ford that a move to join his father, Mike, at Toulon would mean that he would be ineligible to be selected for England. It’s a fairly obvious statement to make given the RFU’s oft-stated stance on selection, but surely Ford Jnr isn’t seriously contemplating joining Daddy at the Stade Mayol? He would appear to be thriving at club and international level under coaches to whom he is (as far as we know) unrelated. I’ve said it before, this isn’t the local club Under 13s. You don’t need your coach to be your Dad. What if part of the deal in Daddy getting the role was bound up in bringing Junior along for the ride?